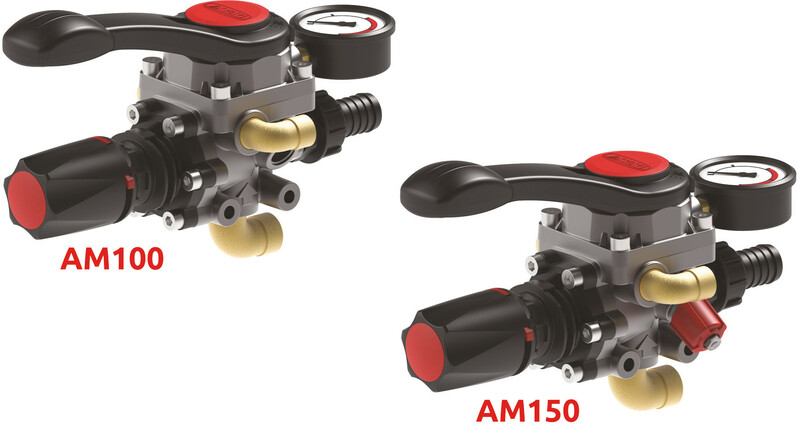 Single handle to select operating positions and pressure. Ergonomic with sliding lever. Equipped with a pressure gauge for pressure reading.